"Once an Accredited Casino - not any more"
Red Flush stared off well – so well that they were awarded Best New Casino of 2008, but alas, they let things slide pretty much after that and went into autopilot. Not cool. 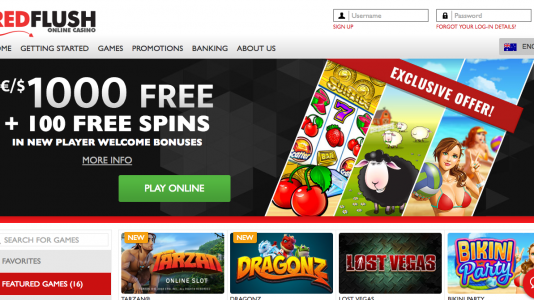 They are now part of the Fortune Lounge group that also went on autopilot – Red Flush Casino is just another Microgaming download casino in the Digimedia trailer park of casinos. Red Flush was an awesome casino – Best New Casino of 2008. But the new ownership looks at that as water under the bridge and could not care less about the player community at Casinomeister – much less of the fact that Casinomeister put these guys on the map. Oh well, that’s life in the online gaming industry. Make a bundle and move on.